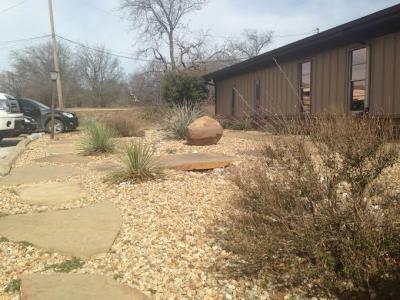 Groundscape Solutions, A Fort Worth Landscaping Company, Designs and installs an Xeriscape landscape. 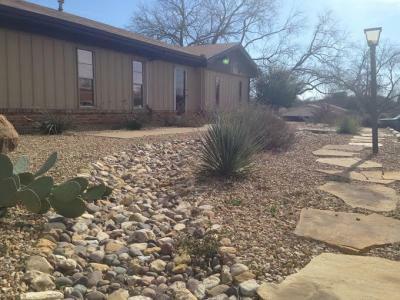 This Drought tolerant landscape is decorated with various green foliage and cactus, river rock, decorative rock, and flagstone. This Xeriscape has multiple walking paths from the driveway to the door using flagstone and the river rock. The plants used are heat tolerant, excellent in times of drought and water restrictions. Give us a call at 817-759-0102 for a quote or visit our website at www.groundscape.com Groundscape Solutions is a fully insured landscaping company and will provide references.